In 1979 Harvard Professor Ezra Vogel famously proclaimed Japan to be the "number one" country in the world -- a model for the United States. More recently, Japan has become more of a poster child for economic and political malaise. In this talk, Dr. Serguey Braguinsky will present an overview of the socio-economic and political situation in Japan in recent years and will try to speculate about what lies ahead. In particular, Japan's response to the 3/11 earthquake and Fukushima tragedy, while inadequate in many respects, has also revealed the country's and its people's resilience and great potential strengths. The bottom line is that today's Japan may be as underrated by pundits and "opinion leaders" as it was once overrated by the same pundits some 30 years ago. Dr. Serguey Braguinsky is Associate Professor of Social and Decision Sciences, Engineering, and Public Policy at Carnegie Mellon University’s Heinz College. His primary research field is the economics of entrepreneurship, growth, and industrial change. Dr. Braguinsky’s current research focuses on rewards to becoming an entrepreneur and on the role of firm founders in shaping various aspects of the long-term performance of their startups and is expected to lead to new insights about the entrepreneurial function and entrepreneurs as agents of economic change, both theoretically and empirically. This is a free event. Continental breakfast included. Space is limited. Participants must register by March 6, 2012 to attend. No-Shows and cancellations after March 6, 2012 will be charged. (Registered participants must bring a valid ID to gain access to the building). 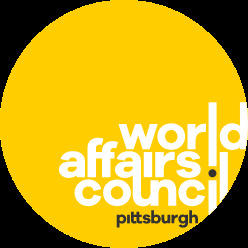 Visit www.worldpittsburgh.org or call 412-281-7970. With thanks to Deloitte for supporting this event.